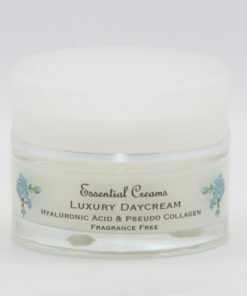 A gentle deeply moisturising cream ideal for use on the face, hands and any dry skin patches. Made from mineral rich Mango Butter and Soothing Shea butter. 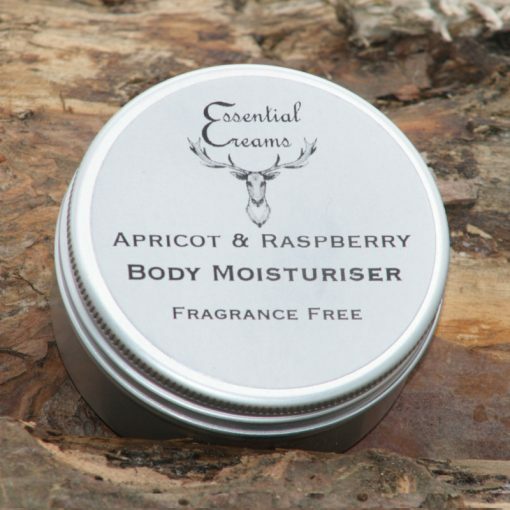 With beneficial oils of Apricot, Avocado, Evening Primrose, Jojoba, Rosehip and Safflower. 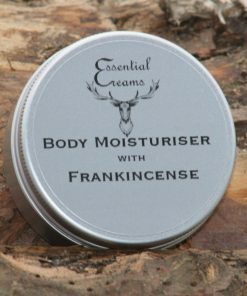 Plus beeswax and vitamin E to help retain moisture and protect the skin. 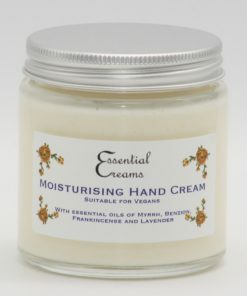 Made with ultra-emollient nourshing oils and butters, with Evening Primrose and Safflower oils good for irritated skins. All the ingredients have have been carefully chosen to soften, soothe and support the skin. 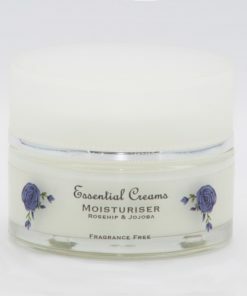 Moisturising Mango butter and highly emollient Shea butter are the base of the cream. 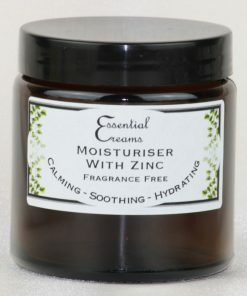 Avocado Oil is known for its deep penetrating properties and benefit to dry skin. Evening Primrose oil has a high content of Gamma Linolenic Acid, which works to retain moisture in the skin and keep the skin in good health. Rosehip Oil is effective for cell and tissue rejuvenation. With Safflower Oil high an polyunsaturated fatty acids which stimulates skin growth and is easily absorbed by the skin. Beeswax is a natural emollient with vitamin E and helps to protect and support the skin from moisture loss. 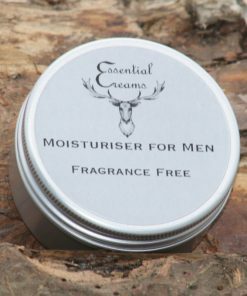 The moisturiser is fragrance free and contains no essential oils or perfumes. 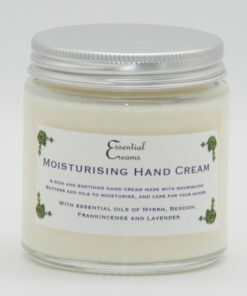 My hands got so rough and cracked this winter, but two days using Anne’s cream and my hands were smooth and supple again. Did wonders for the dry skin on my heels too! 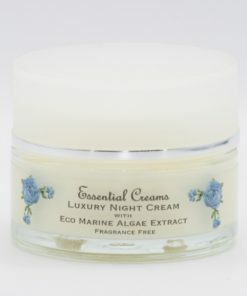 Love this cream. Thanks, Anne!